The underlying AWS mobile CLI used in this course has changed it's API. If you're starting to learn AWS, you may want to try the latest course. We now recommend you take the AWS for Front-End Engineers (ft. S3, Cloudfront & Route 53) course. 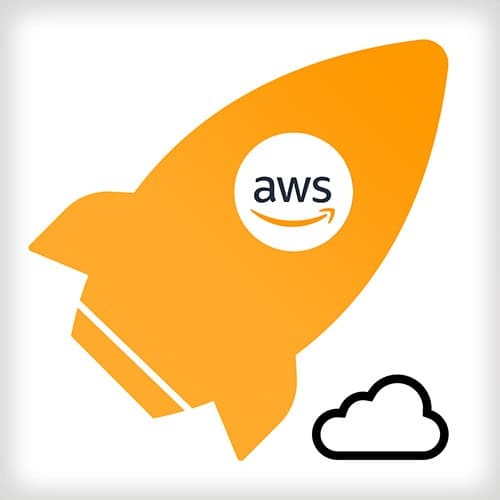 In this course, Steve Kinney — returning Frontend Masters instructor and Principal Engineer at SendGrid — shows how to make your way through all the Amazon Web Services' offerings to quickly prototype on its cloud services and world-class infrastructure. Utilizing a new library from Amazon, you'll easily spin up services to add authentication, authorization, storage, databases, and APIs to your apps with AWS' Amplify, MobileHub, and AppSync! Steve elaborates on a few tools that AWS offers front-end engineers by describing how they are different and — more importantly — how you can use them together to rapidly build client-side applications. Steve leverages AWS Mobile Hub to configure a backend authentication service. Steve uses AWS Amplify to add a login page. After adding a log in page, Steve opens the AWS Mobile Hub console to show the custom configuration setup and makes some modifications. Steve wraps the Application component with Amplify's withAuthenticator component. To resolve the issue of data being stored only in memory, Steve uses AWS Mobile Hub CLI to create a database to persist data. Steve uses the cloud-api feature within AWS Mobile Hub CLI to create an API. Steve implements the ability to get all of the "grudges" from the database as well as creating a new "grudge." Steve demonstrates how to publish the new application onto the web. Steve reviews a few Auth and API methods provided by AWS Amplify. Steve walks through Storage API, which is an AWS Amplify module that provides an abstraction over a well-very configed S3 bucket that Mobile Hub. Steve demonstrates how to upload assets to an S3 bucket using the AWS Amplify's Storage API. Steve walks through how to display images from an S3 bucket with the Storage API. Since image URLs must be fetched asynchronously, Steve rebuilds a component found in AWS Amplify library to asynchronously loading images found on S3. Steve reviews an approach to use authentication within the application for users to upload their own, private images. Steve introduces AppSync, AWS's real-time GraphQL service that was announced in November of 2017 and released to a broad audience in April of 2018. Steve covers the basics of GraphQL and the requisite knowledge for working with AppSync. After creating a DynamoDB table from a GraphQL type, Steve demonstrates writing and testing GraphQL queries. Steve implements the features for creating a grudge and listing all the grudges from GraphQL. After showing how to push new grudges through adding subscription functionality to the Grudges demo application, Steve reviews GraphQL Resolvers as the place to customize control over how to format data before it goes into the database. Wrapping up the course, Steve takes questions from students and reviews services used in the course as well as other services provided by AWS that make front-end development easier.